Louisiana faces some real challenges. A $1.6 billion budget hole, a coastline receding by the minute, unemployment higher than the national average, roads and bridges in decay, a dying higher education system, healthcare in a death spiral, and out-migration of our best and brightest to neighboring states. The list of current challenges is lengthy, but fixable if we as a state prioritize the important issues. On the other hand, if we do not prioritize, the foolish things will become major distractions. All of our time and resources will continue to be sucked into a vortex of stupidity. And so it is with the purported “Paycheck Protection Act” (HB 418). In short, the bill would prevent the longtime practice of public employees—teachers, firefighters, and police—from freely choosing to have union dues electronically withheld from their paychecks. Proposed by Rep. Stuart J. Bishop, a “Jindal Jellyfish” from Lafayette, the plan is being sold as a way to protect employees, which is reminiscent of George Orwell’s doublespeak. In fact, HB 418 does the very opposite. It is being backed by Lane Grigsby of Cajun Industries and the Louisiana Association of Business and Industry (LABI). According to “King of Subversive Bloggers” CB Forgotston, LABI should be renamed “JABI,” the Jindal Association of Business and Industry. Why? The staff has become a veritable hazardous waste dump of Jindal cronies. Despite the public soliloquies by LABI asserting that the plan “protects” employees, stating that HB 418 is one of its top legislative priorities for 2015, pre-session videos were recently unearthed showing Grigsby deviously saying what HB 418 is really about: Killing teachers unions. He and a LABI boss (Bidgette Nieland) are shown sitting at a table and mocking the teachers of the state and their unions. The video is disgusting to watch. So, what does it costs the state for payroll deduction? Nothing. Not a slim dime. I work for a state agency in my day job, one that I do not speak for here or elsewhere, and I belong to a union, one person out of perhaps 50 members at an institution with 1000 employees. HR deducts the dues, which I freely choose to withhold in a Right to Work state. It costs the taxpayers nothing. I joined mainly for the liability insurance my dues cover. Routinely, I also have United Way donations and investments deducted, as well as health insurance taken out of my check, all done electronically. Many public employees and teachers have over 100 payroll deductions they can freely elect to withhold. Disgusting kingpins like Grigsby and Jindal shell organizations like LABI should go back to Civics 101 in my opinion. It’s a good thing for employees to freely associate. It’s protected in the Constitution. Do these people, Rep. Bishop included, hate teachers, firefighters, and police? Don’t they have better things to do? Louisiana has real challenges and real issues during this brief legislative session. Attacking teachers through a faux “Payroll Protection” bill is not one of the priorities. The legislators need to stand up to these devious attacks on public servants, and get down to business repairing what Gov. Jindal has damaged in his delusional quest for the White House. 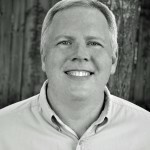 Author Dayne Sherman is the author of the novels Zion and Welcome to the Fallen Paradise, $2.99 ebooks. Signed first editions available from the author. And he does not speak for any of his employers. 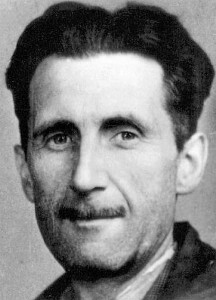 Photo credit of George Orwell portrait. Public domain.